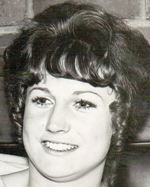 Family and friends of the late Mrs Dianne Schultz are informed that the celebration of her life will take place at the Evergreen Chapel, Lester & Son Funeral Home, 359 Wantigong St North Albury on Tuesday 12th February 2019 commencing at 10.30am. Passed away peacefully, aged 64. Dearly loved daughter of Keith (dec) and Norma (dec). Sister to Greg. Loving mother to Timothy, Grant and Andrew. Mother in Law to Tanya, Sam and Natasha. (Toot toot) Grandma to Rhys, Billy, Eloise, Max, Lily, Molly, Ben and Zoe.